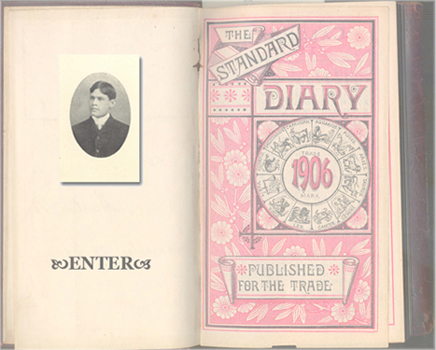 "It's Not What You Eat, But What You Digest"
The Samuel Peterson Diaries were purchased by Tarlton Law Library in 2007 and added to Rare Books and Special Collections. This virtual exhibit was originally designed to complement a physical exhibit displayed in the Susman-Godfrey atrium of Jones Hall in Spring 2008. The Rare Books and Special Collections department at Tarlton Law Library serves as the repository for the Law School's historical materials and includes over a century of yearbooks, the papers of former professors and deans, photographs and other materials.